Two happy girls using digital tablet while sitting on stairs outdoor. 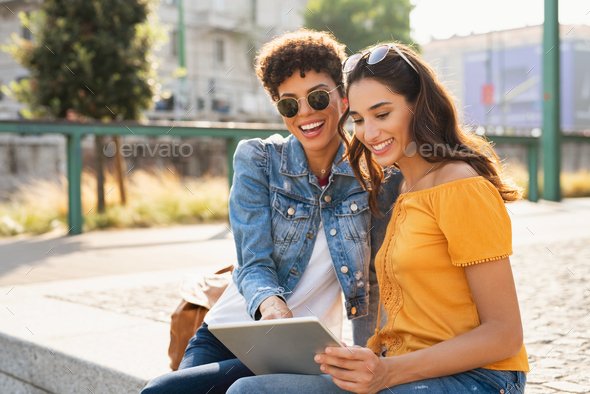 Latin young woman looking for new sales on online store with her african friend. Multiethnic teens having fun while using laptop sitting on city street at sunset.